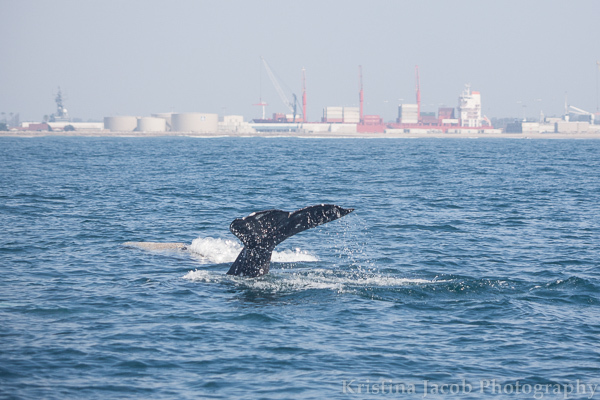 Living near the coast of Southern California has several perks, one of which is the ability to see whales swim along in the ocean. I have always had an appreciation for these amazing creatures, and being able to see Humpback whales while on vacations in Hawaii always fascinated me. It isn't until the past few years that I have taken the opportunity to see whales off of my very own coast through whale watching trips. The tours aren't always successful, it depends upon the time of the season as they move up or down the coast. 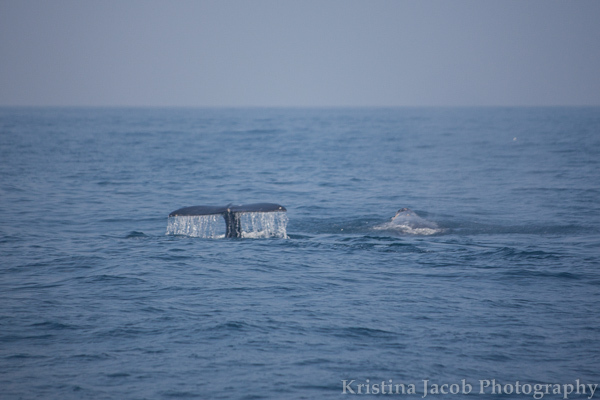 Last week was definitely a successful whale watching trip. Leaving from Ventura, CA, my small boat of ocean tourist were treated to seeing approximately nine whales as they made their voyage in the Pacific Ocean. 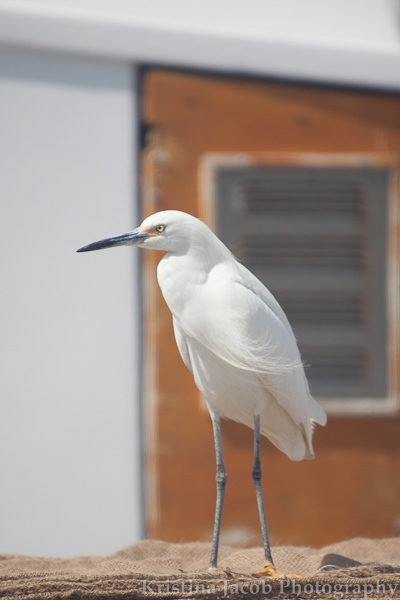 Along the way, we saw dolphins, sea gulls and egrets. February 14 celebrates World Whale Day in Maui to raise awareness of these magnificent creatures. It has been a while since I have seen the majestic Humpback whales in Maui, but I was able to spot Humpbacks in the Southern Hemisphere last summer. Being among these whales was magnificent- there were so many spouting and diving around our ship, it was hard to keep up with clicking the shutter. This was the last day my group was in the Antarctic. I like to think that this was our grand send off - at least until next time! Love is in the store! Ahhh February. Starting right after Christmas, images of red and pink hearts, cupids and chocolates inundate our senses (no matter how hard we try to avoid them). For whatever it's worth, February is known for a day that celebrates love. I decided to celebrate Valentine's a little early by adding some images I have captured through my lens of love in the animal kingdom to my online store - namely penguins, seals and deer. These images are now available as prints, framed prints and on metal. King Penguin Couple was taken in South Georgia Island. watching the King Penguins couple up was a treat - especially seeing how the males would whack each other with their flippers in their pursuit of a charming female penguin. A Mother's Kiss is a moment caught in Big Sur, California. While walking along a trail, I spotted this mother and her fawn. While quietly watching them for a few moments, they shared this sweet moment. Sealed with a Kiss is another image of motherly love. I could watch wildlife, and seals especially, for hours. 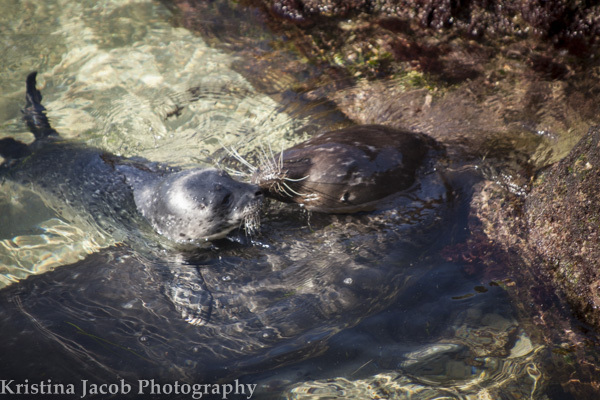 Visiting a beach in La Jolla, California known for its Harbor seals, I was able to see this mother seal teach her days old pup to swim. During the last week of 2014, I took a trip down to Hermosa Beach to go shooting with the talented photographer Ana Ramirez. 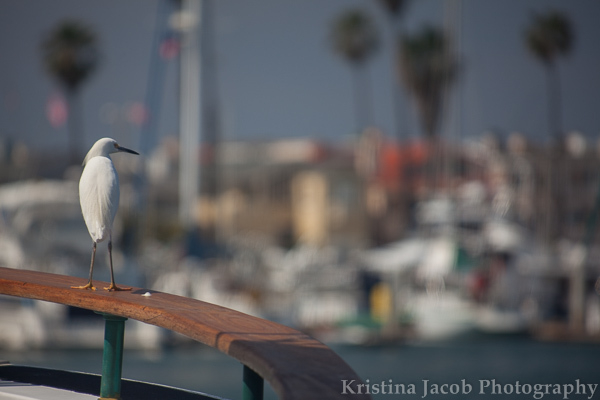 She and I took a walk along the pier, and I spied this gull making footprints in the sand and loved its shadow. The perspective from above the beach made for a great angle to catch the shadow of the bird. Six months ago today, I stared into these eyes as he waddled up to me and snuggled me on the beach of South Georgia Island. That afternoon, I visited the largest King Penguin colony in South Georgia, and it was just magical. December 26, 2013 was definitely a magical and memorable day. Thank you for allowing me to share my experiences with you. South Georgia Island. December 2013. The United Nations has been recognizing June 8th as World Oceans Day, a day to help people "celebrate and honor the ocean, which links us all". I am pretty lucky to live on the West Coast of the Pacific Ocean. I benefit from the wonderful temperatures that the ocean provides (even though living in "the valley" gets pretty warm). I usually vacation somewhere along the Pacific Ocean- either up the coast, down the coast, or an island in the middle. I had a chance to cross oceans and make it down into the Southern Ocean and the Antarctic Sound. While I think the ocean in general is amazing and historical (people have been crossing them for centuries and have some terrifying stories), there was something about the Southern Ocean that was especially magical. It's pristine beauty was just stunning-- and to see penguins on ice floes while cruising down the Antarctic sound was just an amazing experience. While in the sub-Antarctic and Antarctic regions, I met a lot of Gentoo penguins. Here is one as it made its way across the Antarctic snow in December 2013. Here is part 2 of my Zoo Keeper for a Day experience at the Santa Barbara Zoo. You can catch up and read Part 1 of my experience here. After lunch we headed out to the Capybara exhibit with Melanie. These animals are the largest rodents in the world, and are very skittish -- we had to move slowly around these guinea pig relatives. Of the three animals in the exhibit, only one was interested in eating the romaine lettuce from our hands. I even got to pet him---he really enjoyed it. After the rodent experience, we got to go into the barnyard with--you guessed it, barnyard animals. Melanie showed us how she was in the process of training some baby goats, and we even got to feed them out of our hands. Our last stop of our day was the elephant exhibit. I had sort of added the elephants in because I thought it would be cool---the penguins and giraffes were definitely my top priority. We got to interact with these Asian elephants in ways that I couldn't imagine. Something really cool we got to do was to hose down the elephants. The elephants really loved the water, and it was such a unique experience. I never thought I'd ever get the opportunity to wash an elephant. After we washed the elephants we got to feed them. Watching how they use their trunks was just amazing. There are no words to describe being next to these huge, amazing creatures. Thank you to the Santa Barbara Zoo for offering this amazing opportunity, and thank you to the awesome keepers and staff for making this a memorable and wonderful day! My awesome boyfriend gifted me with the experience of being zoo keeper for a day at the Santa Barbara Zoo. I got to pick animals to hang out with---it couldn't have been a more perfect gift. Except I couldn't utilize it in March ( when I got it for my birthday) because...the giraffes were pregnant, so we needed to wait until the babies were born and on exhibit. Baby giraffes?!! My perfect gift got even more perfect. This was such a wonderful day, that I have to post about it in two parts: The morning and the afternoon. Our day started out with the giraffe shift, which meant getting them from the giraffe barn out to the exhibit area. Something that is awesome about the Santa Barbara Zoo is that they don't force their animals out to an exhibit area. The animals move at their own pace. For the giraffes, this meant calling them and rattling buckets of treats. Once the adults got into the area, we were able to feed the giraffes. This was such a cool experience...I can't even describe how it feels to have a giraffe eat out of your hands. So of course I took pictures and video. Next we got to visit the Humboldt penguin exhibit. We got to get into the penguin exhibit and helped Lacey, their keeper, keep tally of their medication and food 9they love herring, by the way). We were literally surrounded by penguins as they waddled around us. One penguin that stood out was Lucky. Lucky was born with a deformed foot---so Deckers partnered with the zoo to create a special boot so that Lucky could live a normal life. We got to feed a brown pelican and then visited these beautiful toucans. I have never seen toucans in such close proximity--these birds are beautifully vibrant and very smart. Our morning concluded with lunch with out keepers from the morning. The ladies were so sweet to tell us about their lines and to spend their lunch hour with us. It was so cool to meet and chat with the keepers that take such great care of these animals. Welcome to August! I love summer evenings and summer clouds. While walking around the neighborhood with my camera the other evening, I just had to make an image with these clouds. The gradient of the blue and the pink of the clouds made for a beautiful contrast. What are some of your favorite things to see on summer evenings? This lavender plant grows in my garden, and smells amazing. Beauty and relaxation in my backyard -- but most importantly, a photo subject. Every time I look at this image, it reminds me of lavender vanilla ice cream, or a lavender mojito recipe I have been wanting to try. What does this image make you think of? Let me know in the comments below. Sometimes, living in the San Fernando Valley isn't so bad. Not when I look up in the sky and see gorgeous colors like this. I love chasing light while walking around my neighborhood with my camera and my iPhone. Yes I look like the crazy camera woman cruising around the neighborhood with multiple cameras, but sometimes just using the camera in my iPhone just doesn't match my vision. Which do you like- the big, overall flower pictures straight out of the iPhone and on Instagram or the detailed macro? Why? Let me know In the comments below. A few summers ago, I had the opportunity to visit Utah. This image is from the end of a day in Bryce Canyon National Park. It had rained in the afternoon, and this beautiful rainbow appeared just after sunset. My dad and I showed up at one of the overlooks just in time, and rushed to the edge of the canyon, running with our tripods and gear in tow. After the rainbow had disappeared and we were retreating back to the car, the storms started moving on and raining on us. I have been on the waiting list for this class for about a year. previously, they had only offered the five week class on weekends, and didn't allow for the ability to make up missed classes. This weeknight class was perfect! I have always loved animals, and usually the weirder, the cuter. In fact, earlier this year, I had started the search for some type of zoology class to learn more about animal behavior in order to photograph them better. This class was definitely a step in the right direction to learning more about my subjects. I couldn't have been happier with this class. OK, maybe if I could have actually pet the porcupine. I digress. Our instructor Marissa was amazing. She is a walking encyclopedia of knowledge and was willing to share that information in each class without trying to overwhelm us, was very patient and direct, and let us take photos to our heart's content (well, of course I could have spent five hours alone taking porcupine pictures). but most of all, her passion for animals and education about animals really shone through. if anyone is exhibiting doing what they love and sharing their enthusiasm, it is most definitely Marissa. I'm sure that I drove Marissa crazy bobbing and weaving with my DSLR and Speedlite, but she was always very accommodating to my photography needs. First and foremost, this is our instructor Marissa holding a California Desert Tortoise. She always handled the animals with great care and grace, and made taking an alligator out of a crate look easy. This is a porcupine from our first class. Porcupines may very well be my new favorite animals, after spending some time in their habitat. Getting up close with Lola the two-toed sloth was definitely a class highlight. I loved being able to get up close and detailed images of what made each animal unique. You can see here why these sloths are called "two-toed". I don't know when or where else I'd be able to get this close to a Great Horned Owl. This red Tailed hawk was recused because it was hit by a vehicle, and needed to have one of its wings removed. This is the type of work the Wildlife Learning Center does that I think is so awesome, and makes me happy to continue visiting and supporting them.